A cute bedroom or nursery sticker designed to rejuvinate the light switches of your child's room with a simple and original element. 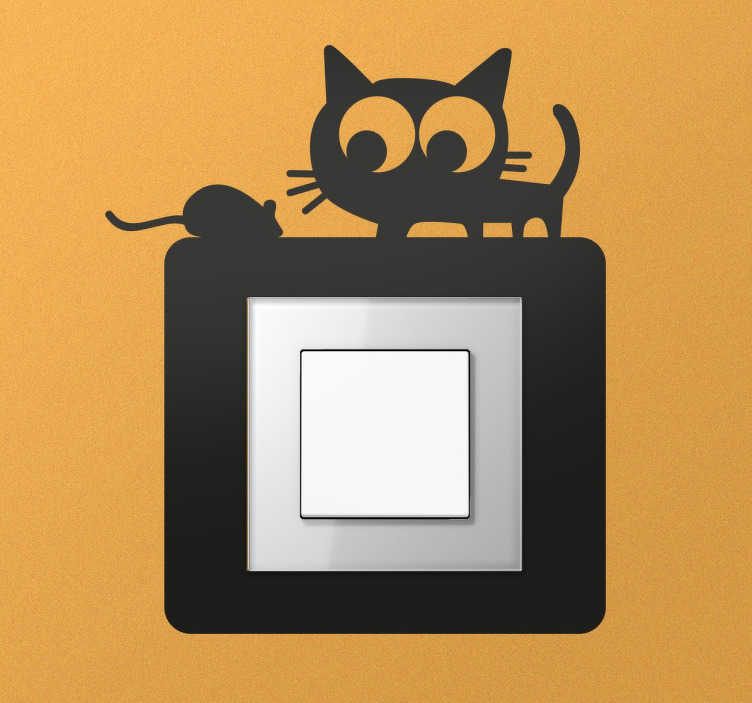 Light switch decal with a funny drawing of cat watching a small mouse. Available in more than 50 different colours to fit with the overall decor of even the smallest rooms. Give your switches or plugs a quirky and original touch, and use your imagination to decorate an otherwise un-aesthetic part of the room.